Devise a diagram infographic that would describe a manufacturing concept and reveal its technological aspects. 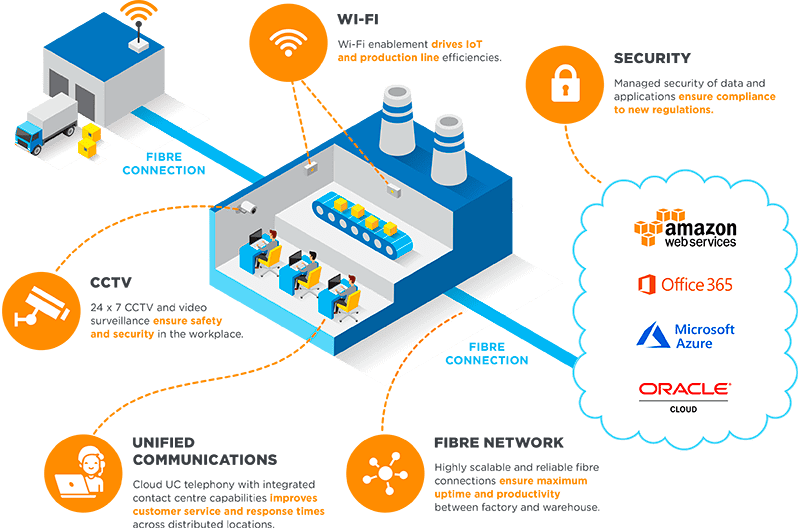 The central focus of this diagram is to demonstrate that the fibre network is the key element that ensures the highest productivity between a factory and warehouse. A user-friendly diagram allows to visually conceptualize the material that might seem too complicated in a text format. Our designers team opted for isometric style as a solution for this project, so the diagram proves to be well-understood due to the followed certain layout and vivid colours. The way different details accent each other makes the infographic demonstrative and allows to achieve the needed level of visual consistency. Let’s make your info with art! Thank you for applying to us, we will answer as soon as possible! A short-and-sweet tutorial on how to strengthen your business with a powerful marketing tool - infographics.